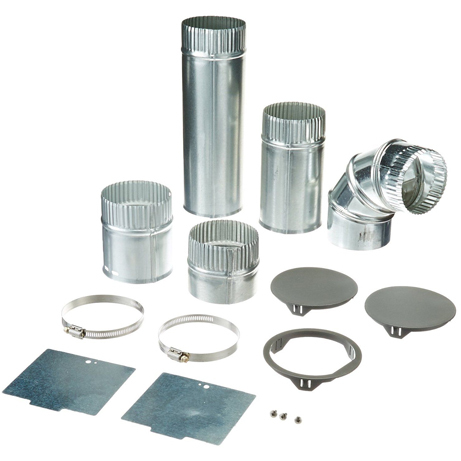 This Commercial Dryer Vent Kit fits most commercial dryers including Whirlpool and Maytag. It is recommended that all commercial tumble dryers are installed with rigid metal ducting / venting. The standard white plastic ducting that is normally seen on domestic machines does not cope well with the heat expelled from commercial machines. See Below for more information and contents.